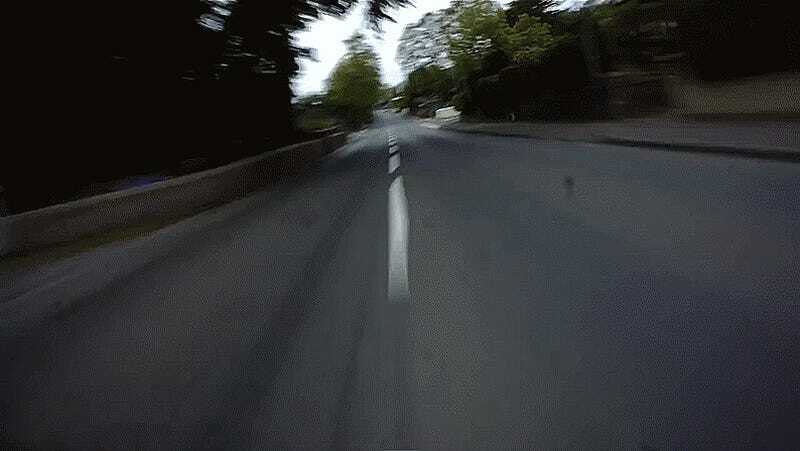 The Isle of Man TT race is one of those things you have to wonder if aliens would fail to comprehend due to the shear madness of piloting a motorcycle over hills and curves of an island for sport. Yet its the madness that makes it so exciting for riders, and just as exciting to watch. The Isle of Man TT isn’t just a rider on a motorcycle. It’s a display of engineering, intelligence, and athleticism at over 200 miles per hour. It’s also the most dangerous race in the world, shutting down two towns on the island for time trials on the world’s fastest motorcycles. We’ve shown videos like this before, but in this one you can see the forces working against the bike in John’s go, showing the racer cut through curves and jump hills, having to brake, shift, and adjust for obstacles not even within sight yet. It’s mesmerizing and terrifying. It’s also the World’s Fastest Death Cult, and I’m glad it’s still going, over 100 years after the first race.